There is a variety of options when it comes to choosing a quality window tinting film. Window tint film has been around since the 1960s. The original style or composite was dyed film. The downside with this type of film is that it actually absorbs heat. Not only that, this type of film has a tendency to fade and turn purple. The next generation of film, invented in the 90s, is called metallic or metalisized film. This is where actually metal particles were introduced, which started the first generation of heat resistant films. The heat resistance is fairly low and it was found that the metal particles interfere with wireless devices such as cell phones and GPS. Believe it or not, these inexpensive options are readily available at other shops in Austin. 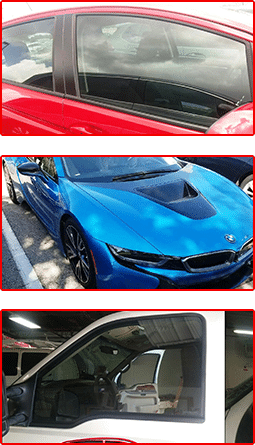 At Auto Tinting Austin, we only carry high quality window tinting products. Starting with hybrid carbon, even our entry level blocks around 50% of the infrared heat. The major benefit as well is, unlike dyed tint films, a quality carbon film will not fade. Moving up in heat resistance are ceramic hybrids. This is where nano ceramic particles are infused which help to create substantial heat resistance. 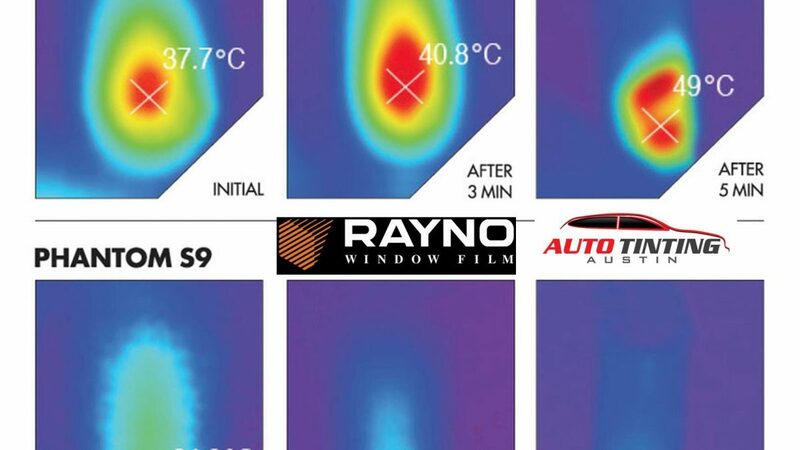 We do a lot of research and testing, and as of current, carry one of the highest heat resistant ceramic films on the market: Rayno Phantom S9. This product blocks and amazing 92-93% of the infrared heat spectrum. I love what you said about carbon film and how it is fade-resistant. Tinting windows is a great idea in order to protect your belongings from sun damage. If I were to tint the windows on my home, I would make sure to locate the best glass company in my area to work with.